Who’s leading The Voice iTunes Chart? Here’s the The Voice 2018 Top 4 Finalists iTunes Rankings results for Season 14 Finale. 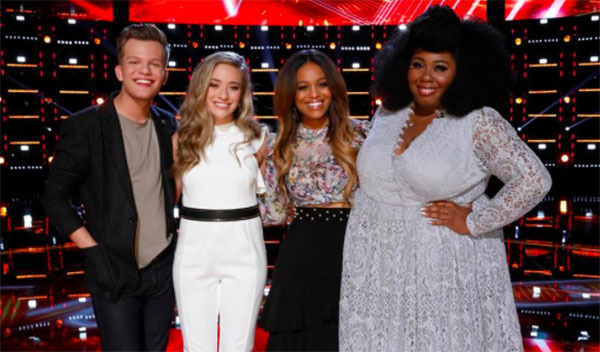 The remaining Top 4 artists sings for your vote on Monday’s season finale episode. 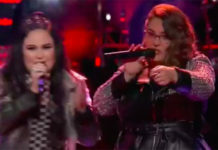 Each singer performs threes songs — a solo cover song, a special duet with their coach, and an original single song. Below is the current standing of the The Voice Top 4 finalists on iTunes for their Grand Finale performances on Monday, May 21, 2018. The Voice returns tomorrow with Finale Results show. 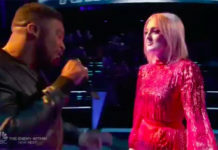 Voting results and winner will be revealed at the end of Tuesday’s episode, May 22, 2018.
Who do you think will be The Voice? Brynn Cartelli, Kyla Jade, Britton Buchanan or Spensha Baker? Write your prediction on the comment section down below. 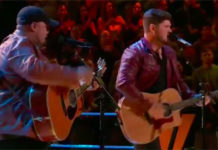 Check out our The Voice Season 14 Winner prediction and voting poll.